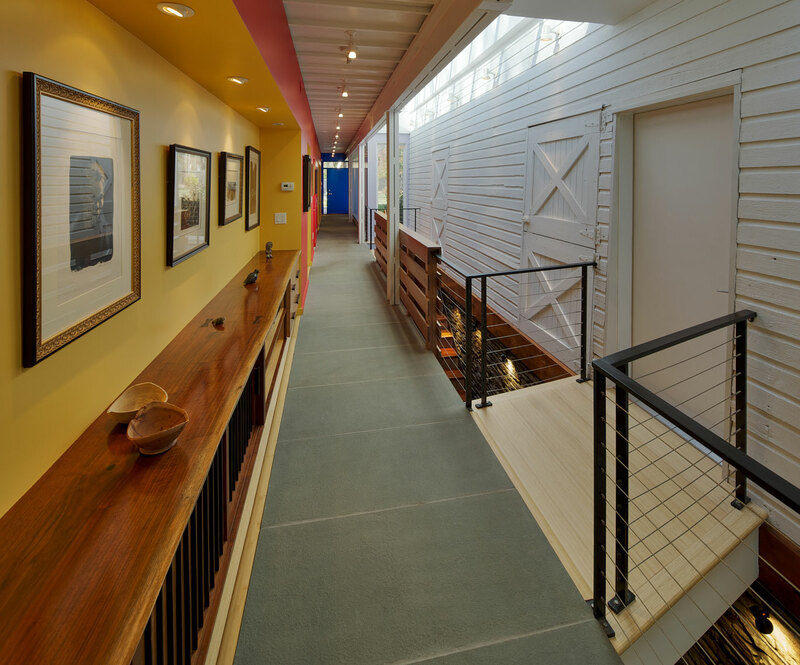 Two small bridges make the jump between the barn and the addition’s main floor. Princeton, NJ. Design Architect: Peter Bohlin, Bohlin Cywinski Jackson. Executive Architect: McAuliffe+Carroll Architects.